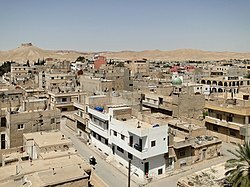 ^ "Palmyra". Catholic Encyclopedia. (1913). New York: Robert Appleton Company. Burns, Ross (1999). Monuments of Syria. London and New York: I.B. Tauris. pp. 162–175. Isaac, Benjamin (2000). The Limits of Empire - the Roman Army in the East (revised ed.). Oxford: Clarendon Press.